Kerala, a little sliver of land at the tip of the Indian peninsula, the land of the green magic, is a region of tropical forests, grasslands, rivers, lakes & lagoons which manifests in the huge bio-diversity of its flora & fauna. The abundant rainfall and the excessive humidity are responsible for the effects of climate and greenery which is the most distinctive part of Kerala compared to neighbouring states. Kerala is home to nearly 500 species of birds, of which 16 are endemic. Spread across the state's forests & backwaters are some of the best birding places found anywhere in South Asia. Thattekkad: The Dr Salim Ali Bird Sanctuary is the most bird-rich area in Kerala. 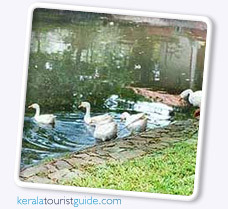 Kumarakom: Set amidst the beauty of the backwaters, this is a haven for water birds. Munnar & Chinnar: The Hill station is a treasure trove of birds, especially endemics. Periyar: The Periyar Tiger Reserve is home to over 260 species. is a diamond in India's ecological crown, despite being one of the smallest parks in the country. A visit to Kumarakom, nesting on the banks of the Vembanad Lake, will give you the pleasure to meet a variety of migratory birds that cluster in thousands, some from the Himalayas, and some even from the snow-kissed hills of Siberia, a true multicultural avian metropolis. The centrally located place in the Kumarakom bird sanctuary being the much popular, "Baker's Mansion" which happens to a 50 year old construction and once a Kerala tourism development corporation's hotel used to run in it.